If you are willing to get an ancient art design inked, Japanese tattoos are the thing you should be looking at. This beautiful Japanese geisha tattoo brings to mind gentleness, warmth, tenderness and affection. While the traditional occupation of a geisha is to entertain men, but in modern Japan, she is taken as a symbol of traditional values. 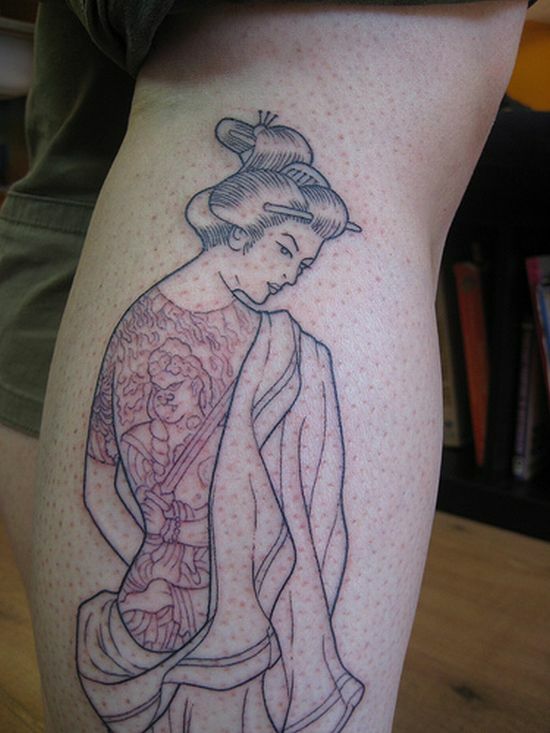 A geisha is known for her extreme beauty and this Japanese geisha tattoo is equally beautiful.